Well I thought I have seen everything about Facebook shares and posts. But this one is just so intriguing that I saw almost 2,000 shares and likes. Well to say the truth it’s a hoax. Nothing can be so far fetched that adding someone as your friend can actually infect your account. Let’s just imagine that this was an actual person and I believe there’s not just one person with those names up there. People reposting or sharing may as well have good intentions of helping you know different security risks for you privacy and account but it’s just ill mannered not to verify if this was actually true or not. The post says it was confirmed by Facebook and Snopes, yet I really can’t find and see where this is on any of Facebook’s official pages. 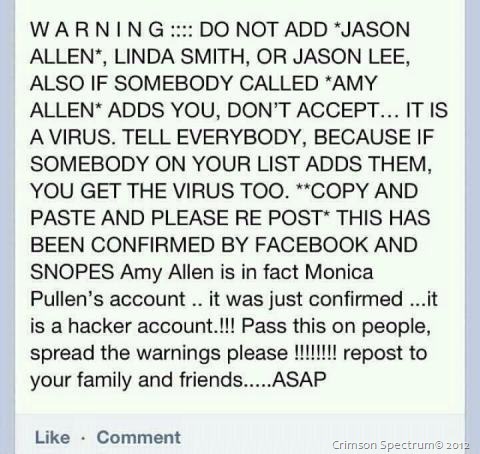 The real threat is not adding random friends, it’s knowing if they are even related to you. Well we add friends from games or apps to help bolster our level, and of course it’s a social site. If you really do care about your Privacy and Security, then it’s better to follow some advise on how to go about this. 2. Enable Login Notifications. This way you’ll know right of the bat that someone other than you logged in into your Facebook account. 3. Group your Friends using Lists. 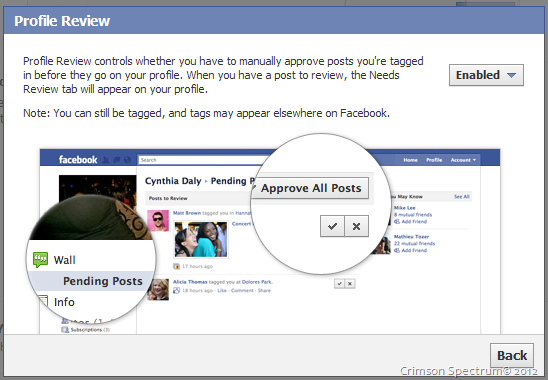 This is also one of the best ways to control what you want to see or not on your News Feeds. 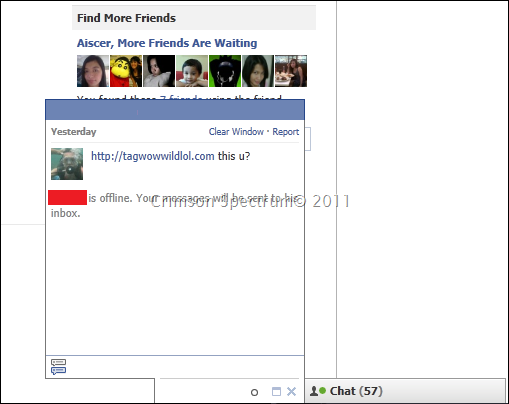 Then give them different viewing and access restrictions on your Timeline or Wall. 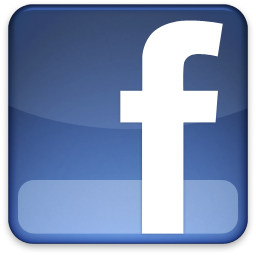 Facebook has added an option of putting friends into lists such as Acquaintances and the Restricted. 4. 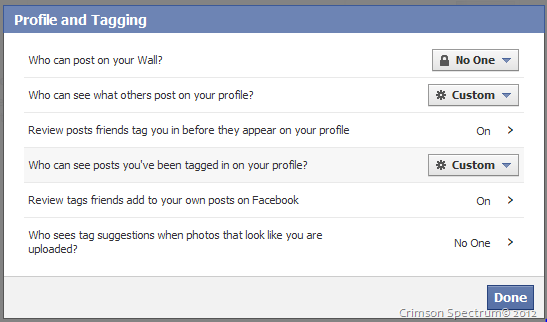 Manage Privacy Settings for your Profile, Posts, Photos and Tags. Don’t just let anyone grab your pictures or see your albums. Equally, don’t allow posts without your approval. This way you can filter posts that no one else can see first without your consent. 5. 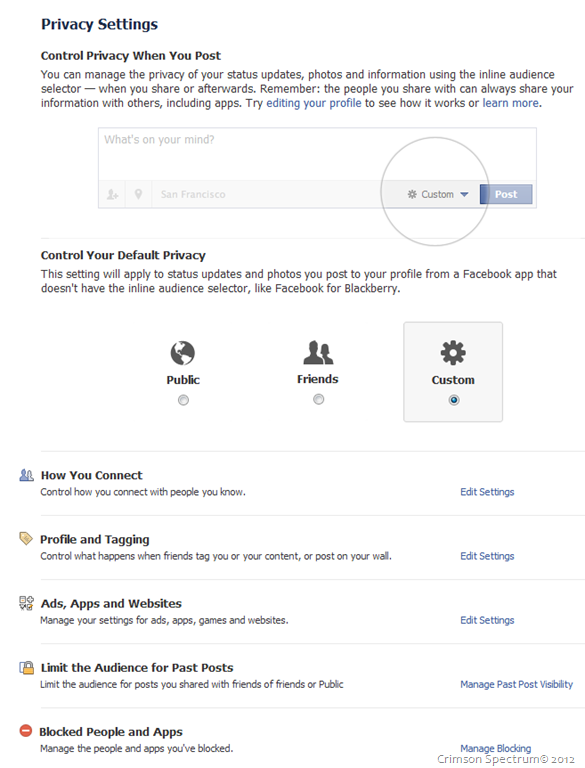 Customize Profile and Tagging by Enabling this feature in your Privacy Settings. I employ a restrictive rule and for my apps too by using the App Password feature. This way I just don’t allow aps, ads or the sort from behaving in a way I don’t really like. You may also want to check out ZDNet’s Facebook Lockdown Guide by Zack Whittaker for a more definitive approach. I became fascinated and intrigued by the most recent chat spams, email scams and malicious profile linking brought about from social networking sites, the most popular being Facebook. I have always wanted to do an article of the existing threats within social networking sites and this is a culmination of what I have personally seen and gathered recently. Several articles and blogs in the internet offers some advise of what, why and how to avoid it. Although, this is not an in-depth analysis but instead only an overview for your awareness of the machination behind the links, the cleverness, and intricate ways of how the programmers created the social networking threats. 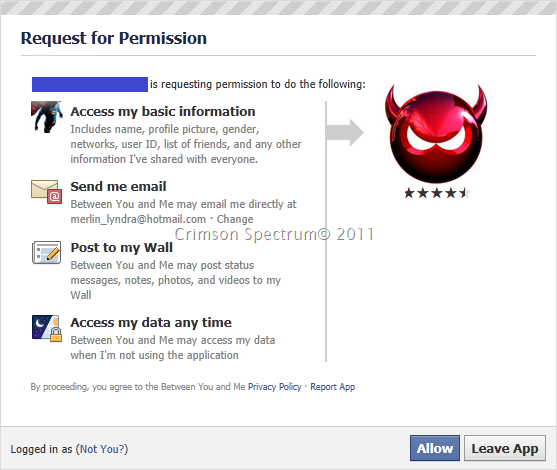 If you are a Facebook user you should know “The Wall” where you can allow anyone to post their links, messages and other stuff depending on your own Privacy settings. Allowing everyone access to this feature will also allow anyone to spam you with different links to whatever they might fancy. Even though you have set posting to only those you know, this still does not safeguard you against malicious links, ads and spams. Besides, most of it can end up on your “News Feeds” anyway. The Securelist Team of Kaspersky Labs has identified an Advertising Botnet and the elaborate ways of how they’ll be able to get some cash out of the likes or clicks you make, they may even steal data from your system depending on the scripts running from those sites. Most specially if you download and install any add-ons, plug-ins or codecs for you to view the site, video or photo. 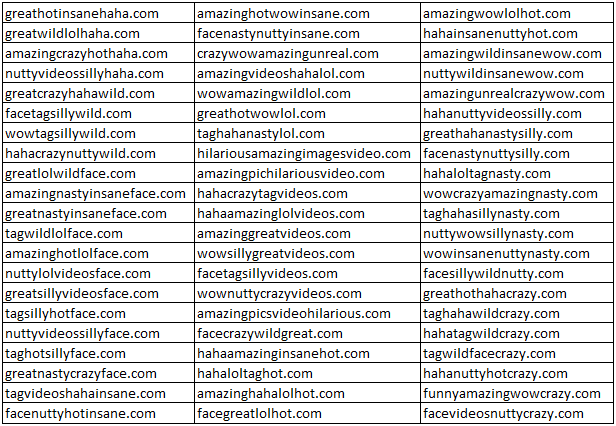 One form that I stumbled on was from a Facebook video link that will redirect you to a randomly named site that is directed to several DNS addresses that I was able to identify but I would rather conceal the result since the IP addresses belong to a legitimate server and data center provider. The host IP acts both as DNS server and a Reverse Proxy. Thus, when a client request is received by the DNS server it will retrieve the needed information from the “Author” server which is then forwarded to the client. In actuality if we look closely at the links above they’re a set of 4 variable words randomly generated and stringed together which is done using Java scripting. After the site name gets resolved a series of events gets triggered, to be specific a variety of scripts within the HTML page will execute and some of which will also download into your Temporary Internet Folder. If you are using Internet Explorer as your default browser then the path of the folder will be located at: [Path=C:\%userprofile%\%appdata%\Local\Windows\Temporary Internet Files\]. If you may allow, let’s call the HTML embedded scripts as X-script, Y-script and Z-script for purposes of clarity later on. The created HTTP cookie will now wait further instructions from the site or another script that will need its information. Currently, the created cookie is harmless and does not contain any relevant data. The only time that it can become maliciously useful and gather data from the system is after a plug-in or codec gets installed to continue playback of the video. In reality, cookies are erased either after every session in most internet sites or if the browser detects that a cookie has expired. 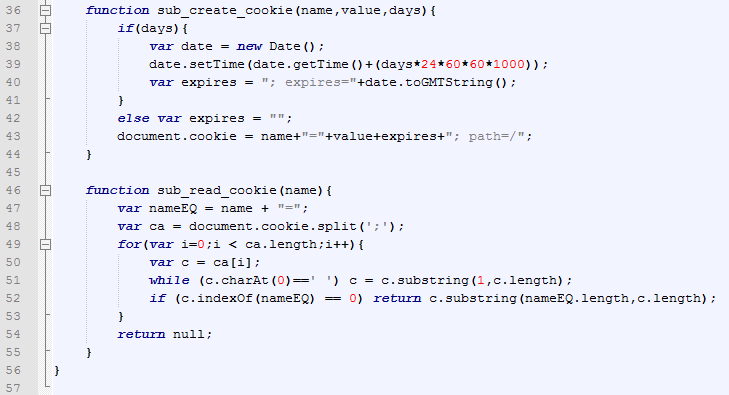 A similar script seen above can be found and compared to the scripting done by the author from this site: http://www.quirksmode.org/js/cookies.html. The only difference is that the script from the site has a function for cookie deletion. 1. If your browser’s pop-up blocker is not enabled, you will see a pop-up window asking you to finish a survey linked to another site. The links are determined through the response from the author server. 2. If Y-script finds that a pop-up blocker is enabled, it will continue with its normal function in asking you to install a required plug-in or codec for the video to continue its playback and no pop-ups are generated. Although, the pop-up blocker check doesn’t affect Y-script’s ultimate function which is to wait for you to install a plug-in or codec. So whether you continue with the survey or not, it doesn’t really matter for the Y-script. Now if you still choose to install the required plug-in or codec, a third script will refresh the page, “unblock” the video and continue the playback. This is now the Z-script which will be tied into the plug-in or codec that has been installed and will be tied by a DLL from either the plug-in or codec. This DLL file will also later hook itself to Windows Explorer and your browser that will control multiple features for future use and is not limited to the following: exploits in your system, sending spam links to your online friends through chat, wall posts to new malicious links of video, download malware, browser hi-jacks, gather private information, email accounts, passwords, bank accounts, credit card information and pop-up advertisements. Once you’re lured into thinking that the site you are in contains the video you want to watch, an app you want to install, a photo you like to see or simply liking a link, several things may have already transpired without you knowing about it (remember the scripts?). The final nail should be the plug-in, codec or you agreeing to put in a Username and Password. Whatever the form of intrusion used will only result to your system becoming compromised. Several other Social Networking threats can be worse than what I have given as an example which may install Malware without you noticing it. In the internet world where Malware constantly evolves and becomes more resilient with every new strain, I only have one piece of advice and I have repeatedly mentioned it to every owner of an infected machine to always think before you click.